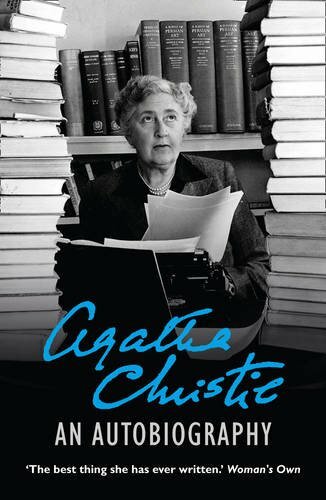 Description: Agatha Christie's 'most absorbing mystery' -- her own autobiography, with new exclusive CD containing newly discovered priceless recordings from more than 40 years ago of Agatha dictating excerpts about her life as a writer. Over the three decades since her death on 12 January 1976, many of Agatha Christie's readers and reviewers have maintained that her most compelling book is probably still her least well-known. Her candid Autobiography, written mainly in the 1960s, modestly ignores the fact that Agatha had become the best-selling novelist in history and concentrates on her fascinating private life. From early childhood at the end of the 19th century, through two marriages and two World Wars, and her experiences both as a writer and on archaeological expeditions with her second husband, Max Mallowan, Agatha shares the details of her varied and sometimes complex life with real passion and openness. Then, in 2008, Agatha Christie's grandson made a remarkable discovery. While clearing out her old house in preparation for its opening to the public, Greenway in Devon, a box of old tape reels was found to contain the recordings of Agatha dictating her Autobiography for her typist. These remarkable recordings are not only an amazingly rare example of Agatha's voice, but they also partly explain the engaging nature of her Autobiography - for they reveal the normally reclusive Agatha telling her own story in a lively, spontaneous and often conspiratorial way, whose passion in talking about her life is captured in the printed Autobiography. Now this new edition comes complete with a CD of highlights from these priceless tapes, giving Agatha Christie's millions of fans the opportunity to hear the Queen of Crime's story in her own words, and rediscover her remarkable full story in this special edition of her book, which is newly introduced by Mathew Prichard, the grandson who discovered the tapes. "I loved 'Problems'. Thought merely sums in diguise, they had an intriguing flavour. 'John has five apples, George has six; if John gave away two of George's apples, how many will George have at the end of the day?' and so on. Nowadays, thinking of that problem, I feel an urge to reply; "Depends on how fond of apples George is." "One cannot, ever, go back to the place which exists in momory. You would not see it with the same eyes-even supposing that it should improbably have remained much the same. What you have had you have had. 'The happy highways where I went, And shall not come again...' Never go back to a place where you have been happy. Until you do it remains alive for you. If you go back it will be destroyed." "Lake Louise was for a long time my answer when I was asked which was the most beautiful place I had ever seen: - a great, long blue lake, low mountains on either side, all of a most glorious shape, closing in with snow mountains at the end of it." " We are all the same people as we were at three, six, ten or twenty years old. More noticebly so, perhaps, at six or seven, because we were not pretending so much then, whereas at twenty we put on a show of being someone else, of being in the mode of the moment. If there is an intellectual fashion, you become an intellectual; if girls are fluffy and frivolous, you are fluffy and frivolous. As life goes on, however, it becomes tiring to keep up the character you invented for yourself, and so you relapse into individuality and become more like yourself everyday." This looks fabulous! I am just starting to read her books, but have always been intrigued by the tidbits of her life I've seen. I am actually going to listen to my first audio book soon & it's one of hers! It has been way to long since I last read an Agatha Christie novel. The quote about keeping your happy memory safe and about growing up are oh so true! Oh, where have I been? 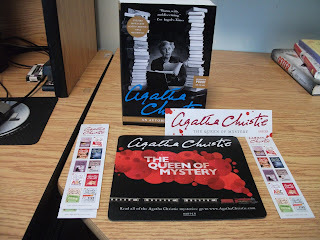 I would have loved to have found this contest, being a huge Agatha Christie fan! I haven't seen this book in bookstores, did you find it online?